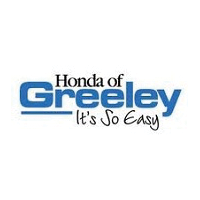 If there’s one thing we want everyone to know it’s that at Honda of Greeley we are here to make you happy. That’s what we want from the time you walk into our showroom looking for the new Accord, CR-V, HR-V, Civic, Pilot, or Odyssey, or used Honda vehicle of your dreams to the day you want to trade it in. In addition to our lineup of high-quality vehicles that offers many choices for drivers with different wants and needs, there’s also our car service and repair center. We train and retrain to help ensure the vehicle you buy or lease from us continues to satisfy you for hundreds-of-thousands of miles to come. What’s more, we use certified Honda parts that are also available to the DIY-types out there. This way, you know your vehicle is being treated right, from start to finish. Speaking of being treated well, Honda of Greeley takes one stressful part of the car buying experience and turns it into a BIG positive. That’s thanks to our team of Honda lease and loan specialists. Here to make sure all of your finance needs are met, they work hard crunching the numbers and ultimately provide an all-around pleasurable experience – some even go so far as to call it unmatched. Of course, the best way to learn more about our commitment to you here at Honda of Greeley is to talk with us. Call, send us a note online, or stop into our showroom during regular business hours. We’re located at 4535 W 29th Street Greeley, CO and would love to answer any questions you might have.